If there was a way to best describe 2017, it would be a year of wrestling with the principles of the faith, especially in Catholic education. However, beyond the issues of the faith in our secular world, it was also a year to celebrate and rejoice in hope of a more promising future. We bid adieu to some, and welcomed others with open arms. 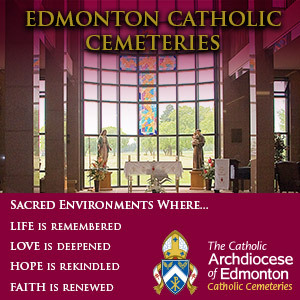 Here’s a year in review of 2017 from the Archdiocese of Edmonton. After serving the Roman Catholic Diocese of Calgary for an impressive 19 years, Pope Francis accepted Bishop Frederick Henry’s resignation from his position on Jan. 3. At 73 years-old, His Excellency stated medical reasons for the reason for his decision. 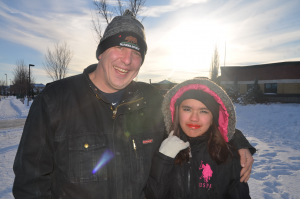 Gary Gagnon became the first Coordinator of the Office of Aboriginal Relations (to be renamed in the new year) in February. He is an ambassador representing Archbishop Richard Smith on indigenous matters. This role is also a step toward reconciliation, as we are the first diocese in Canada to have such an office. 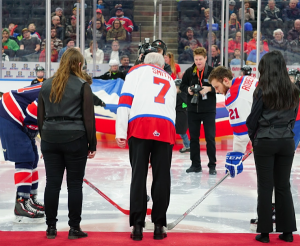 Archbishop Smith dropped the puck at the new Rogers Place on Feb. 10 for Faith and Fun Night at the Oil Kings game. There was pre-game entertainment with His Grace, priests, seminarians, and Louis the Lion. The final score was 5-2 for the Regina Pats. Archbishop Luigi Bonazzi spent two days in Edmonton on his first visit to Alberta since his appointment as the Apostolic Nuncio. As the Ambassador of the Holy See in Canada, his mission is to promote unity of the faith. 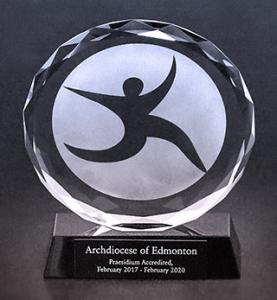 The Archdiocese of Edmonton became the first in Canada to receive Praesidium Accreditation for its abuse prevention program. 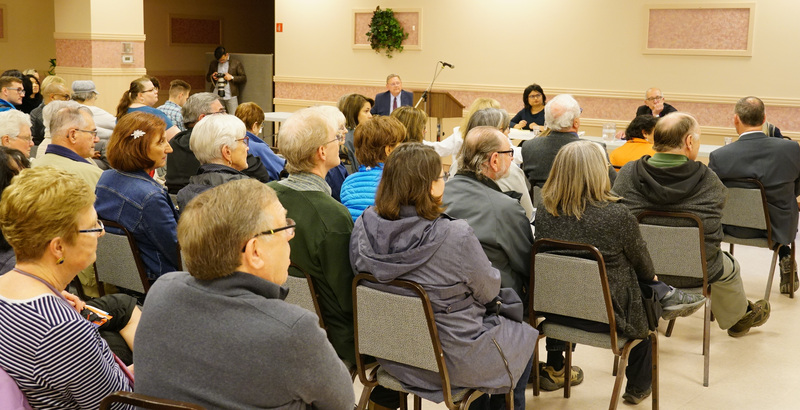 Over the course of five years, more than 12,000 deacons, priests, staff, and lay volunteers within the Archdiocese received training through the Called to Protect program. 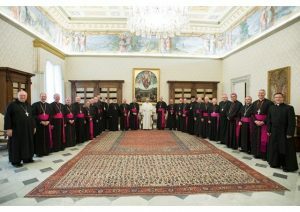 Bishops of Western and Northern Canada made their ad limina apostolorum visit to Rome. Their last visit was in 2006. Bishops are required by canon law to make a pilgrimage to the tombs of the Apostles Peter and Paul in Rome. 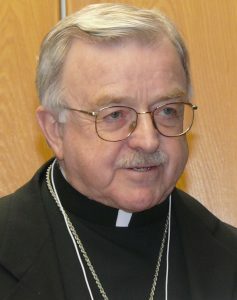 The blogs from Archbishop Smith were very popular across Canadian Catholic communities. 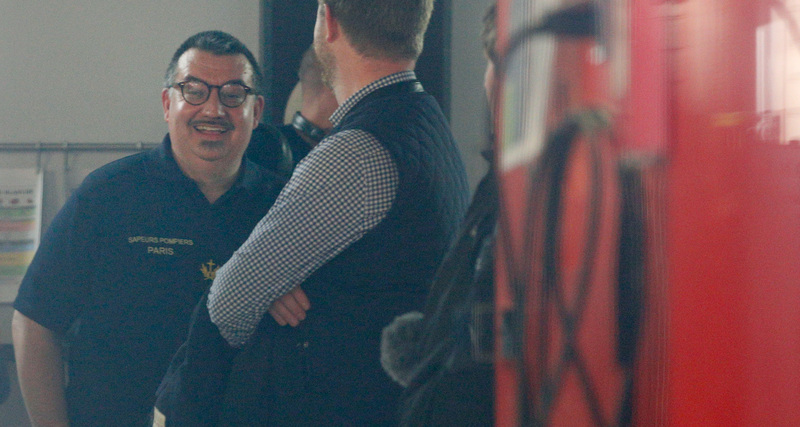 Calgary’s new bishop made his first out-of-diocese visit to Edmonton to personally meet with seminarians from the Roman Catholic Diocese of Calgary who are studying at St. Joseph Seminary. Our communications team was able to book an interview with him during his quick visit. A relic which was involved with the miracle leading to the canonization of St. Kateri Tekakwitha came to our Archdiocese for the saint’s Canadian feast celebration. 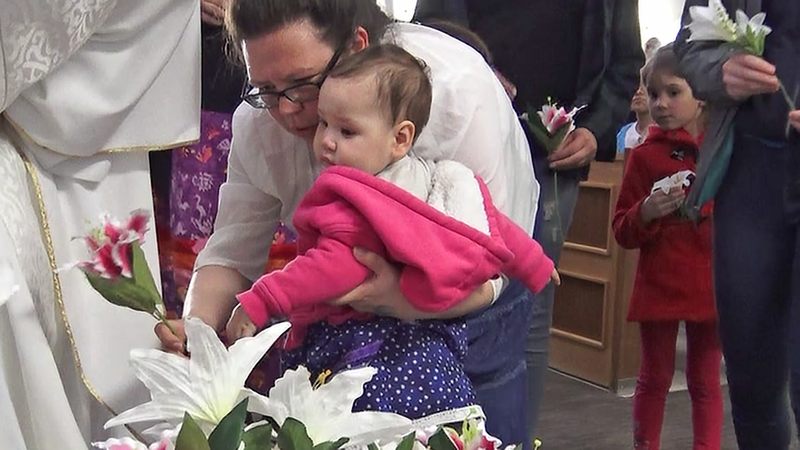 Sister Kateri Mitchell brought the relic to the Lac Ste Anne Shrine for veneration, five years after St. Kateri Tekakwitha’s canonization. After 22 years as the pastor of Sacred Heart Church of the First Peoples, the Missionary Oblates of Mary Immaculate reassigned Fr. Jim Holland, giving him a well-deserved one-year sabbatical. Fr. 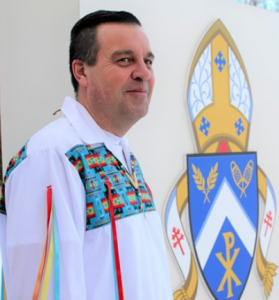 Susai, who is fluent in Cree, was assigned as the new pastor of Sacred Heart. He was installed by Auxiliary Bishop Gregory Bittman in October. 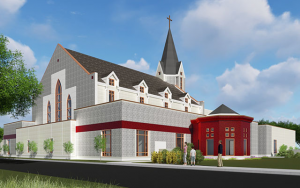 Since the groundbreaking by Bishop Bittman in May, construction of the new St. Francis Xavier Church in Camrose has risen over the Prairies. The latest photo shows the newest local landmark leaving an impressive mark on the skyline of the city. Robert Lee from the Archdiocese of Edmonton was ordained as a deacon on June 16 by Bishop Bittman. Read more on his journey to become a deacon, and highlights from his Ordination Mass. Fr. Roger Niedzielski was ordained on June 27 at St. Joseph’s Basilica by Archbishop Smith. The ordination also came as an answer to many years of prayers for a young priest to emerge from the Polish community. 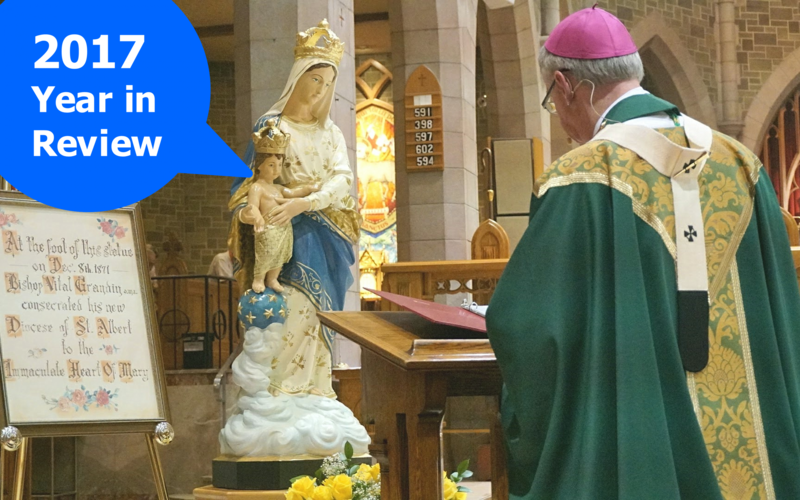 Archbishop Smith joined bishops across Canada in consecrating the Archdiocese to Mary on July 1. Together, they consecrated the entire country to the Blessed Virgin Mary for Canada’s 150th birthday. Ephphatha House changed hands in July with the official opening of Mt. Carmel Spirituality Centre. The operations of the location remain unchanged, however, the aim is to have a monastery on site. Fr. Joseph Glaab was ordained to the Order of Franciscan Friars Minor on July 15 at Our Lady of Perpetual Help Parish in Sherwood Park, by Bishop Emeritus Gerald Wiesner. Archbishop Smith made his first visit to a mosque as Archbishop of Edmonton. He was accompanied by Auxiliary Bishop Bittman. They met with local imams to start an interfaith dialogue on peace. Fr. Jack, as he was known, celebrated his last Mass as the pastor of Our Lady of Perpetual Help on August 15. He is one of few local priests who have received the title of monsignor. His ministry spanned 55 years, including 15 years as chancellor. 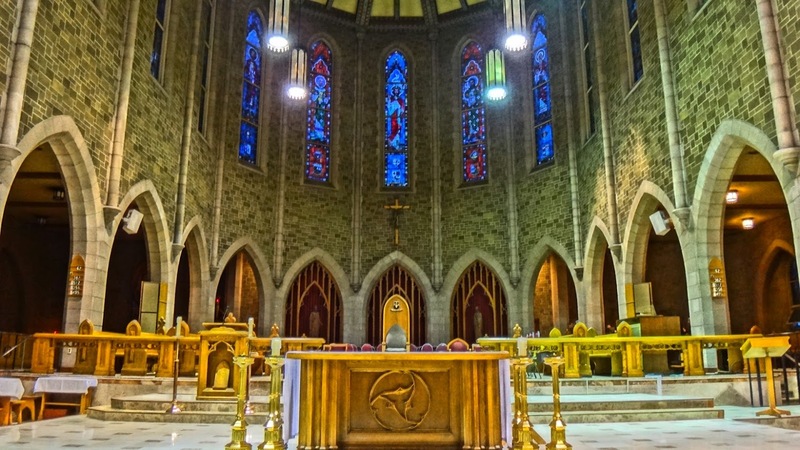 The supreme head of the Syro-Malabar Catholic Church, Cardinal George Alencherry, consecrated the St. Alphonsa Syro-Malabar Catholic Church on July 29. 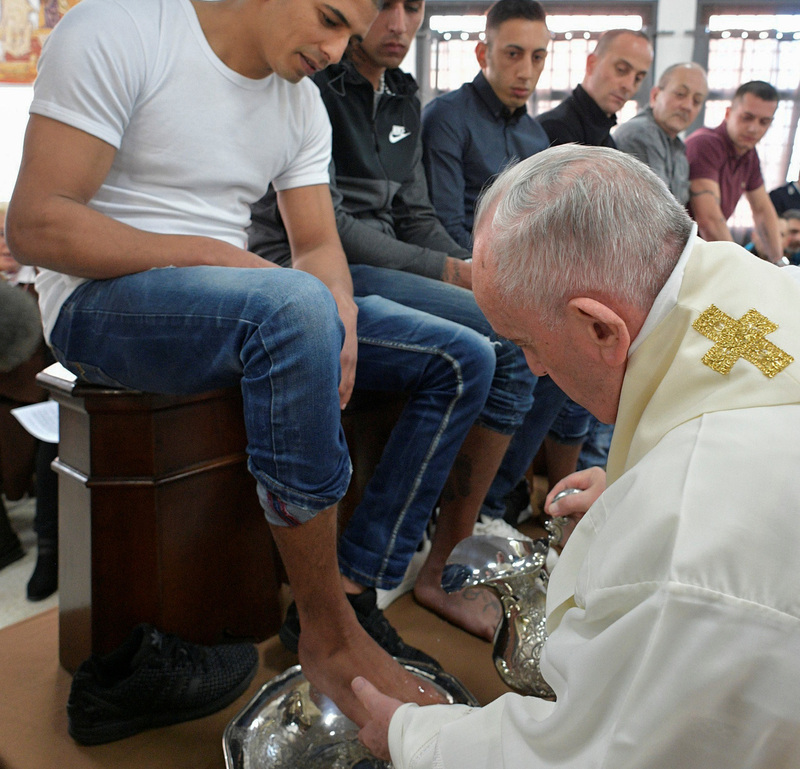 The Syro-Malabar Rite is in full communion with Rome. Archbishop Smith released his Pastoral Letter “Living in the Word” in September. The letter will drive the direction of Archdiocesan initiatives over the next five years, encouraging the use of Scripture in our lives. 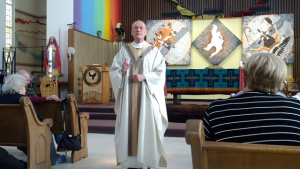 A new church opening in Fort Simpson was the occasion for our communications department to visit our twin diocese in the Northwest Territories. 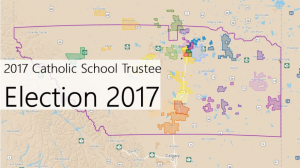 School trustee elections across Alberta brought new faces to Catholic school boards on Oct. 16. 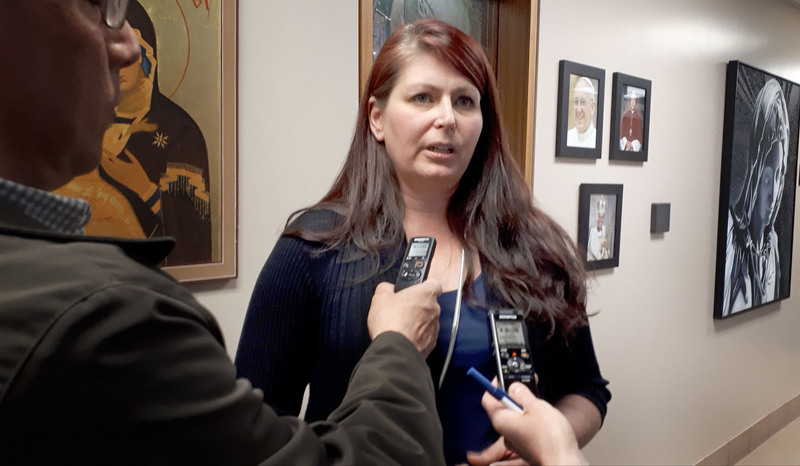 Funding for Catholic educators to develop faith-driven aspects into the human sexuality curriculum was turned down by Alberta Education after a social media firestorm and misunderstandings of the document. 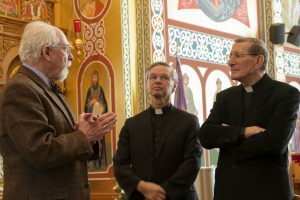 On the 500th anniversary of the Reformation, Catholics, Lutherans, and Anglicans gathered as one to commemorate and repent in a prayer service for unity in Christ. The Alberta NDP government passed Bill 24 on Nov. 15. The bill will make it illegal to notify parents if their child if he or she joins a gay-straight alliance. The bill goes into effect on April 1, 2018. 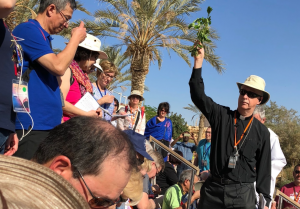 Archbishop Smith’s Holy Land pilgrimage blog received more than 6,000 views combined during the 10-day journey. His Grace also made important visits to Gatineau, Ottawa, Rome, and Lebanon this year. 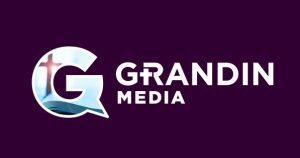 Grandin Media launched on Dec. 11 as the new digital revamp of the Western Catholic Reporter, which dates back to 1921. The new portal is named after Bishop Grandin, the first bishop of the area when it was the diocese of St. Albert. City hall removed an annual tradition of an outdoor Nativity scene by replacing it with an indoor display costing $2000. City hall has removed the Nativity scene for both of the last two years. 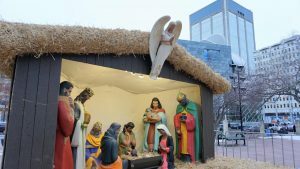 The Nativity scene had been in front of Edmonton City Hall for at least 40 years.